2nd August 2018, New Delhi: Political funding has very often been related to corruption and black money. The donations that political parties in India receive are never completely disclosed and have been questioned a lot of times. It is also believed that large corporates houses fund election campaigns of political parties so that they can sought favours when they come into power. The government has tried to find a solution to this problem by introducing electoral bonds. Electoral bonds were introduced in India in January 2018 to make funding to political parties transparent. In the first three phases of sale of electoral bonds, 980 electoral bonds worth approximately Rs.438 crores were issued by SBI and bonds worth around Rs.427 crores have been redeemed by political parties. LocalCircles conducted a survey to see what general public thinks about this move. The survey received more than 20,000 votes. 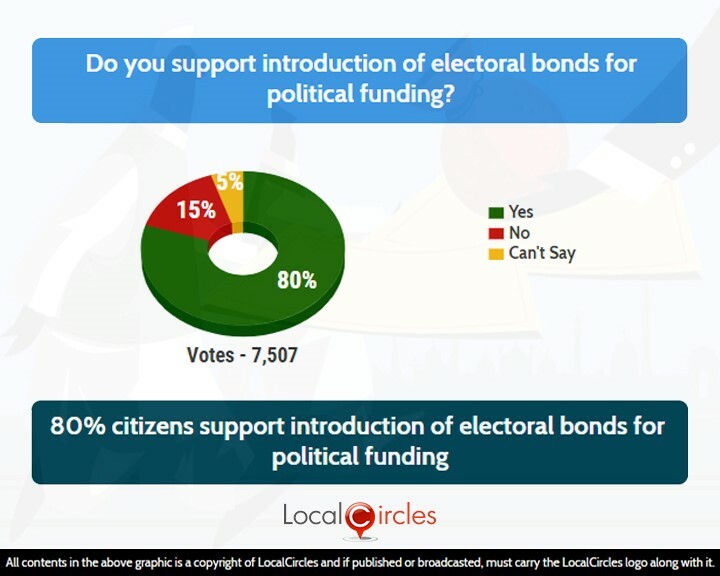 The first question asked if citizens supported introduction of electoral bonds for political funding. 80% respondents agreed with it while 15% disagreed with it. 5% were unsure about it. Government feels that electoral bonds would mean a banking trail will be created for all the donation that reaches a political part and the use of black money will decrease to a large extent. Donors can donate the bonds to their party of choice which can then be cashed via the party's verified account within 15 days. The Congress and the CPI had demanded that the names of both recipients and donors should be made public to ensure transparency. The Election Commission had also written to the Ministry of Law and Justice raising objections on the electoral bond scheme because it makes political donations non-transparent. 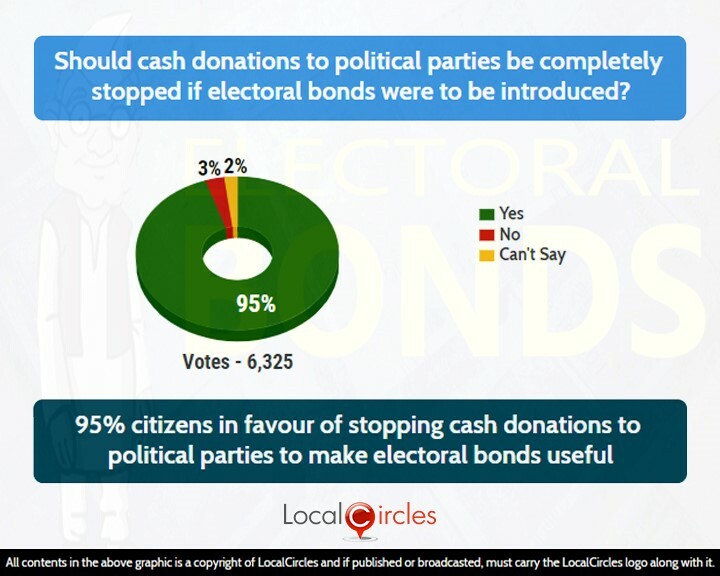 The second poll asked people if cash donations to political parties should be completely stopped if electoral bonds were to be introduced. 95% said yes to it while only 3% said no. 2% were unsure about it. Many political parties have already shown their strong discontent against the move. CPIM has approached the Supreme Court of India saying that the move is non-democratic in nature and will in turn lead to greater political corruption. The Electoral Bond system will also ensure that the public will never know the names of the donors, which will make the mechanism a bit opaque. 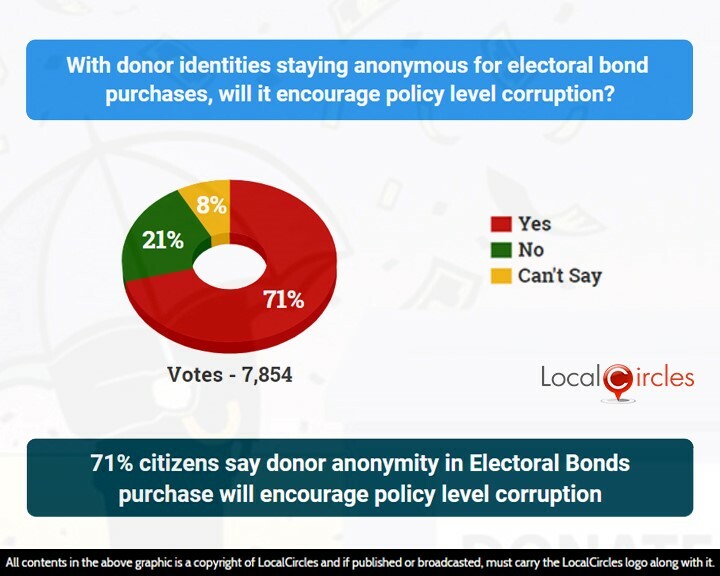 In the final poll, 71% citizens said donor anonymity in electoral bonds purchase will encourage policy level corruption. 21% said it will not promote corruption and 8% were unsure. Some data from SBI also revealed that there has hardly been any demand for the lower denomination electoral bonds and not even a single one for a denomination of Rs. 1000 or 10,000 was purchased in May 2018. This clearly means that it is not the individuals but only the corporates who are purchasing electoral bonds. Almost all the electoral bonds purchased in May were in the denomination of Rs. 10 lakh and 1 crore. 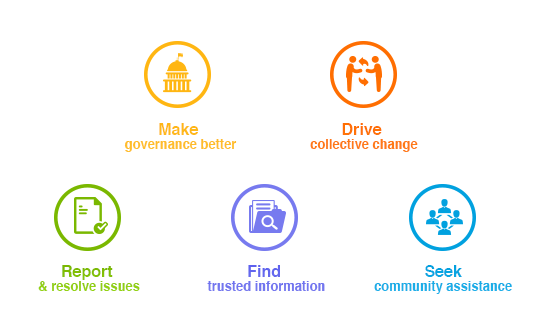 Citizens feel that the move of introducing electoral bonds has been a success so far but they also feel that full transparency will only be established once the identities of the donors is revealed.